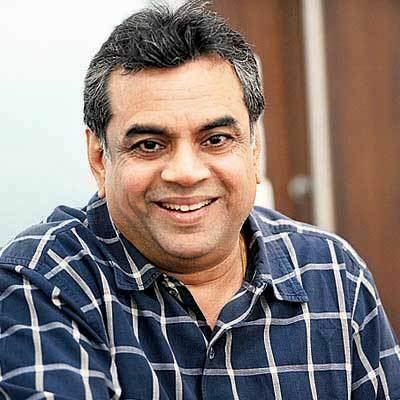 Paresh Rawal (born 30 May 1950) is an Indian film actor, thespian and politician known for his works notably in Bollywood. He is currently a member of the Lok Sabha of the Indian Parliament belonging to the Bharatiya Janata Party (BJP). Rawal speaks Hindi, Gujarati, Marathi and Telugu languages fluently. In 1994, he won the National Film Award for Best Supporting Actor for his performances in the films Woh Chokri and Sir. For the latter, he received his first Filmfare Award for Best Comedian. This was followed by Ketan Mehta's Sardar, which saw him playing the lead role of freedom fighter Vallabhbhai Patel, a role that got him national and international acclaim. He has received wide recognition for his villainous roles in Telugu box office hits such as Kshana Kshanam (1991), Money (1993), Money Money (1995), Govinda Govinda (1994), Rikshavodu (1995), Bavagaru Bagunnara (1998), Shankar Dada M.B.B.S. (2004), and Teen Maar (2011). His other notable works in Hindi cinema are Naam (1986), Shiva (1990), Mohra (1994), Tamanna (1996), in which he played the role of a hijra, Aitraaz (2004), Table No. 21 (2013) and Zilla Ghaziabad (2013). He then ventured into comedy, with hits such as Andaz Apna Apna (1994), Chachi 420 (1997), Hera Pheri (2000), Nayak (2001), Aankhen (2002), Awara Paagal Deewana (2002), Hungama (2003), Hulchul (2004), Deewane Huye Paagal (2005), Garam Masala (2005), Phir Hera Pheri (2006), Golmaal: Fun Unlimited (2006), Bhagam Bhag (2006), Bhool Bhulaiyaa (2007), Welcome (2007), Oye Lucky! Lucky Oye! (2008), Atithi Tum Kab Jaoge? (2010), OMG - Oh My God! (2012) and Welcome Back (2015). 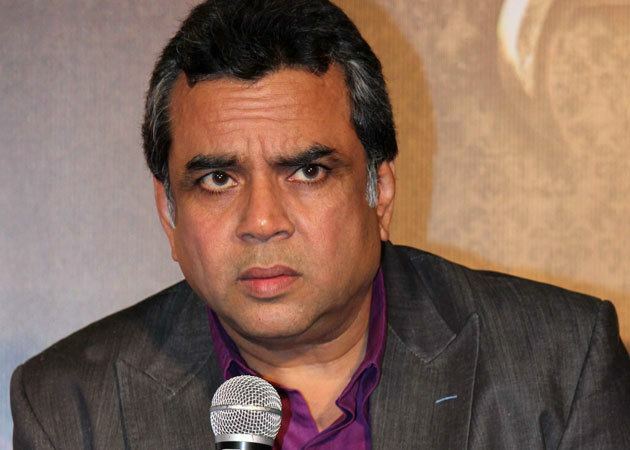 Paresh Rawal was born in a Gujrati family in Mumbai. He is married to Swaroop Sampat, an actress and winner of the Miss India contest in 1979. Paresh and Swaroop have two sons, Aditya and Aniruddha. He is an alumnus of Narsee Monjee College of Commerce & Economics, Vile Parle, Mumbai. Rawal made his debut with the 1985 film Arjun in a supporting role. It was the 1986 blockbuster Naam that established him as an actor with great talent. He then appeared in over 100 films throughout the 1980s and 1990s, mostly as the main villain, such as in Kabzaa, King Uncle, Ram Lakhan, Daud, Baazi and so many more. In the 1990s, he also starred in the cult comedy Andaz Apna Apna in which he played a double role. 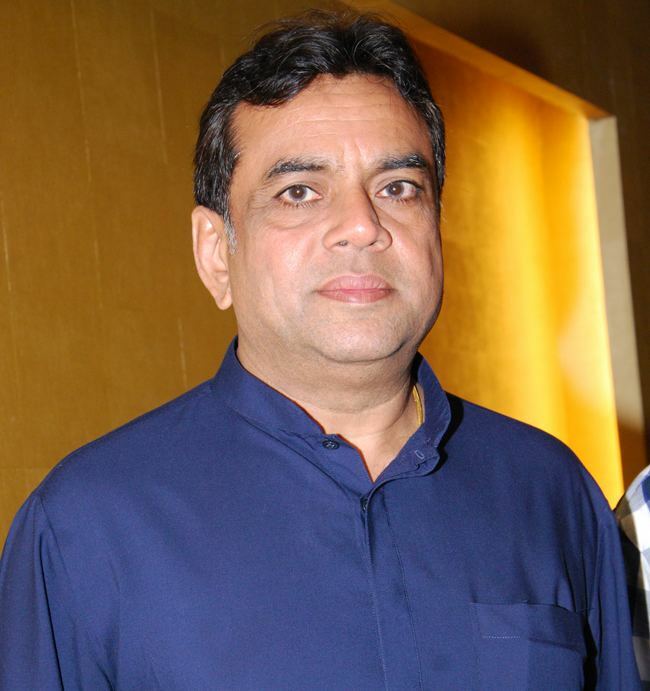 Paresh Rawal was perceived as a character actor by both audiences and critics until the 2000 Bollywood cult classic Hera Pheri, after which he starred in many Hindi mainstream films as a lead actor or main protagonist. 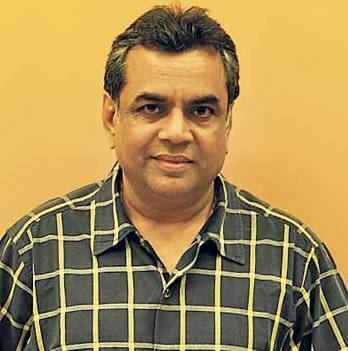 Rawal played the dim-witted, boisterous and kind-hearted Marathi landlord Baburao Ganpatrao Apte in the film Hera Pheri, who takes in Raju (Akshay Kumar) and Shyam (Sunil Shetty) as paying guests in his house. Rawal's acting was a key reason for the major nationwide success the film received. For his performance, he won the Filmfare Best Comedian Award. He reprised his role as Baburao in the sequel to the film Phir Hera Pheri (2006), which was also successful. In 2014, his next films are Raja Natwarlal and a sequel to his 2007 film Welcome, titled Welcome Back. One of his upcoming projects is a biopic of Narendra Modi. 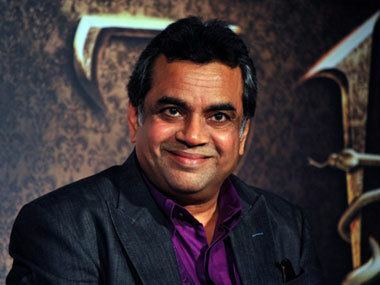 Paresh Rawal is going to produce the film, which will be his second production venture after Oh My God. He will be seen in Ali Abbas Zafar's Tiger Zinda Hai, the sequel to Ek Tha Tiger starring Salman Khan and Katrina Kaif. He won as the Bharatiya Janata Party's Member of Parliament (MP) from Ahmedabad East in the Indian general election, 2014. And in 2014 he was awarded Padma Shri. 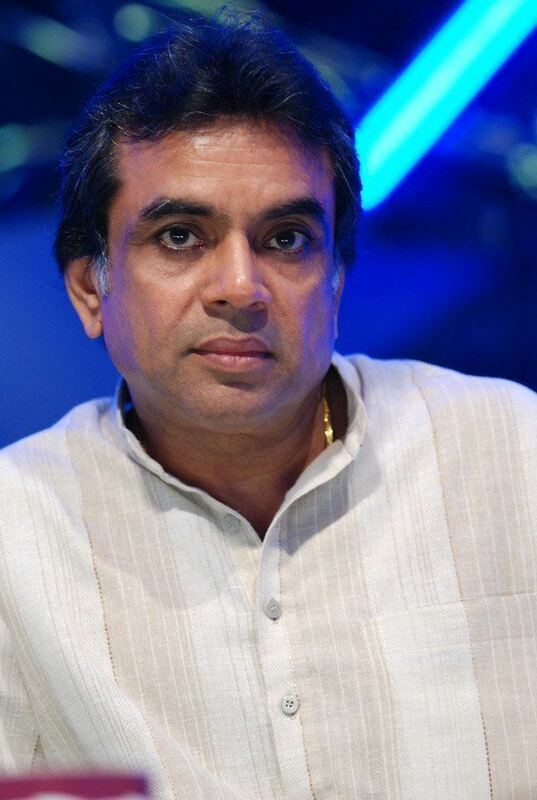 On May 21, 2017, Paresh Rawal tweeted: "Instead of tying stone pelter on the army jeep tie Arundhati Roy!". Rawal was making a reference allegations that Indian soldiers tied a Kashmiri to their jeep and used him as a human shield, and it was presumed that he wanted Roy to be used as a human shield. 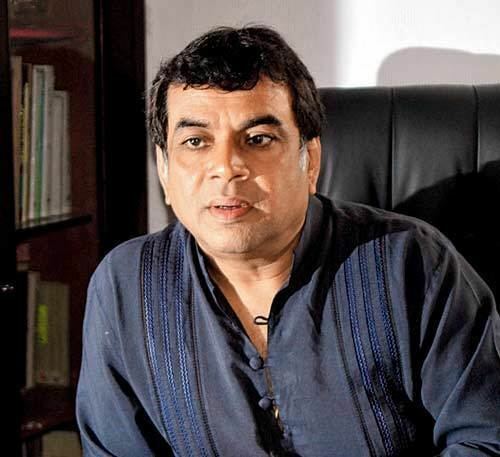 Rawal's tweet provoked a controversy, and he was accused of advocating violence against women. He was criticized by fellow actors/filmmakers Vivek Agnihotri and Swara Bhaskar. Rawal, who is a member of the ruling BJP, was also criticized by Congress leader Shobha Ojha while filmmaker Ashoke Pandit supported his tweet.